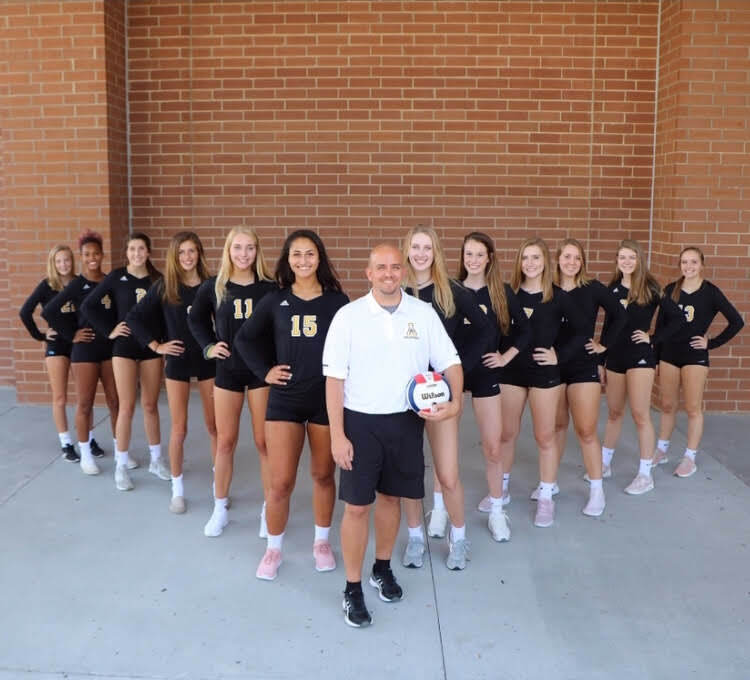 The Apex Volleyball and Women’s Tennis teams have a few things in common: They know how to swing and make aces, and, for the second year in a row, both teams are SWAC conference champs. Apex Volleyball sits at 10-1 in the conference and 15-4 overall, with one conference game left Thursday, Oct. 11, vs. Fuquay-Varina. Their only conference loss this season came during the away game at Fuquay-Varina earlier in the season, so the ladies are looking for a little payback during the Oct. 11 home game, which is also senior night. Round 1 of the NCHSAA State Volleyball Playoffs begins Oct. 23, during which Apex will have a bye. Apex Volleyball will play in the second round at home on Oct. 25 (opponent TBD). 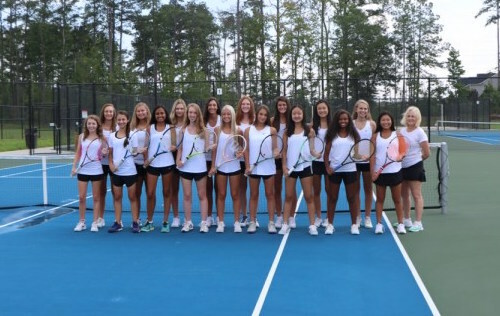 Apex Women’s Tennis finished their season undefeated with a 12-0 conference record and 14-0 overall record. Gaby Cicin also won the individual SWAC conference singles title, and the following players have qualified for the regional tournament, which takes place Oct. 19-20 at CTP and Athens Drive High School: Reilly Murphy, Camille Battle, Alyssa Hall, Kylie Griep, Eriica Hwang and Gaby Cicin. Congratulations to all of these Lady Cougars, and good luck during your playoffs!